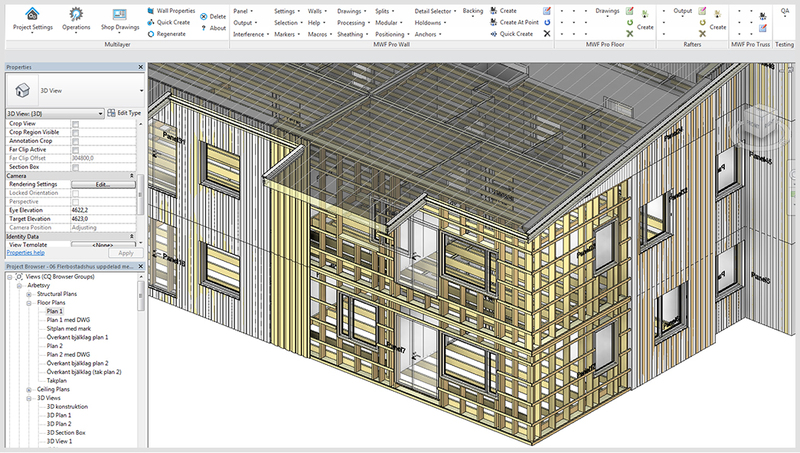 MWF Pro Wood is the ultimate Revit add on for wood builders. Capable of framing virtually any project from single family homes, to large scale multifamily structures, MWF Pro Wood is purpose built with wood construction experts in mind. 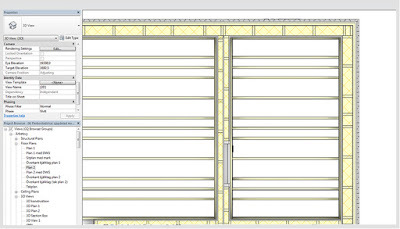 MWF Pro Wood allows its users to create custom framing to define all aspects of wall, floor and roof framing, giving the software the information to then automatically apply the framing throughout the Revit model, simultaneously differentiating wall types, openings and penetrations throughout the project. 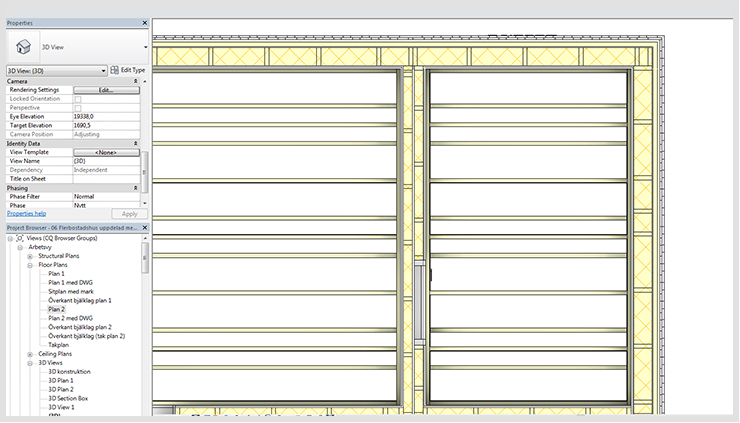 With 3D framing complete, 2D panel drawings, cut lists, bill of materials and CNC output (optional plugin) are just a click away. 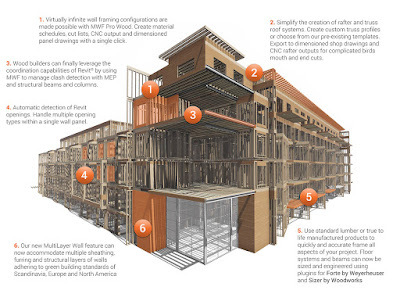 NEW: MWF Pro Wood’s all new MultiLayer wall feature now allows the user to build complex layered framing quickly and easily. With virtually no limitation to the number of layers, orientation of members or type of material used, MWF Pro Wood now complies with the latest energy efficient, green building methods in use today. Layers can contain sheathing, furring, clapboard, structural framing and more. Once your wall assembly is designed, a master template can be made and applied across the entire project, expediting complete framing creation and drafting. 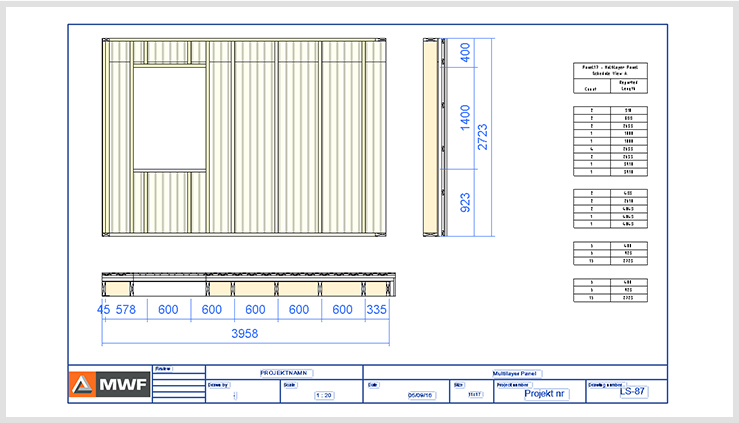 Full Automation: With optional CNC output for MWF Pro Wood, you can turn Revit into a manufacturing tool. 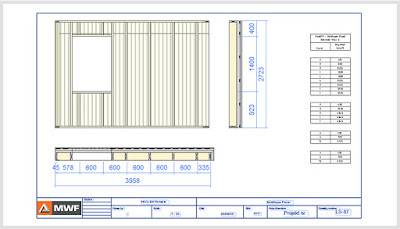 Lumber cut lists, and geometry are automatically sent to your CNC machine interface for simple and complex cuts including copes, rafter cuts and even electrical and mechanical passes. Assembly information can also be sent to Weinnmann nailing bridges and panel machines for the ultimate in Revit to shop floor manufacturing automation. Engineering Capabilities: With MWF Pro Wood, you now have the built in capability of linking industry leading material sizing engines. Check and analyze complete floor systems or have MWF Pro Wood suggest the optimal member sizes based on Revit loads, construction conditions, IBC and NBCC codes, and the users pre-defined joist selections.